1 OF 3 PROPERTIES SET IN A BEAUTIFUL COUNTRYSIDE LOCATION These idyllic cosy retreats are situated down a long drive and look out across the owners pretty thatched Devon longhHouse. The house used to be owned by Winifred Ashton actress author artist and screen writer. The separate part of this chocolate box cottage and the two conversions provide a perfect location for couples or small families wishing for a relaxing week s holiday in a superb setting excellent for bird watching with views of the surrounding countryside. Situated on the Devon Dorset and Somerset borders the cottages provide the perfect base from which to explore the three counties. Devon with its rolling hills and moorlands Dorset for its world heritage coastline and Somerset famous for its picturesque villages and bustling market towns. The market town of Axminster is 1 mile away with shops inns restaurants sports centre and the famous River Cottage shop recently opened by Hugh Fearnley Whittingstall. The Axe Valley provides lovely walking opportunities and there are many coastal walks along the Dorset and East Devon Heritage coastline. Charmouth Bridport Lyme Regis Sidmouth Beer and Branscombe are all within easy reach. There are many local attractions including Abbotsbury Crealy Bicton Park Burrows Farm Gardens and National Trust properties including Killerton and Knightshayes Court and guests are sure to enjoy returning home after a busy day out. Play facilities: in the owners large shared garden with tree house play equipment swings and wendy house. Amenities: bed linen towels electric and central heating included. Wi-fi available. Regret no smoking. Regret no pets. Stairgate available. 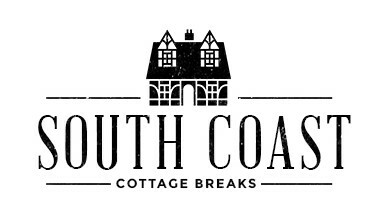 Location: pubs shops restaurants 1 mile sandy beach at Charmouth 10 minutes by car. The cottage has oak flooring throughout and offers THREE bedrooms all with TVs: 1 king-size 1 twin and 1 double. Bathroom: with roll-top bath separate shower cubicle and WC. Shower room: with WC downstairs. Lounge: with flatscreen TV DVD Blu-ray player feature fireplace and woodburner effect electric fire TV/DVD DAB radio CD iPod dock and dedicated wi-fi available throughout the house. Kitchen/diner: with tiled flooring fridge freezer dishwasher large electric range style cooker microwave and coffee machine. Utility room: with washing machine and tumble drier. Outside: enclosed garden area with garden furniture sun loungers and BBQ.